The publisher Hermes House, which is an imprint of Anness Publishing, has some art instructional books selling at really affordable prices online. This particular book that I bought was only less than US$11 and it's really worth the money. The book's not too big, it's around A5 size, paperback and has 256 pages. This is a book for beginners. The first half of the book introduces the tools and basic watercolour techniques. 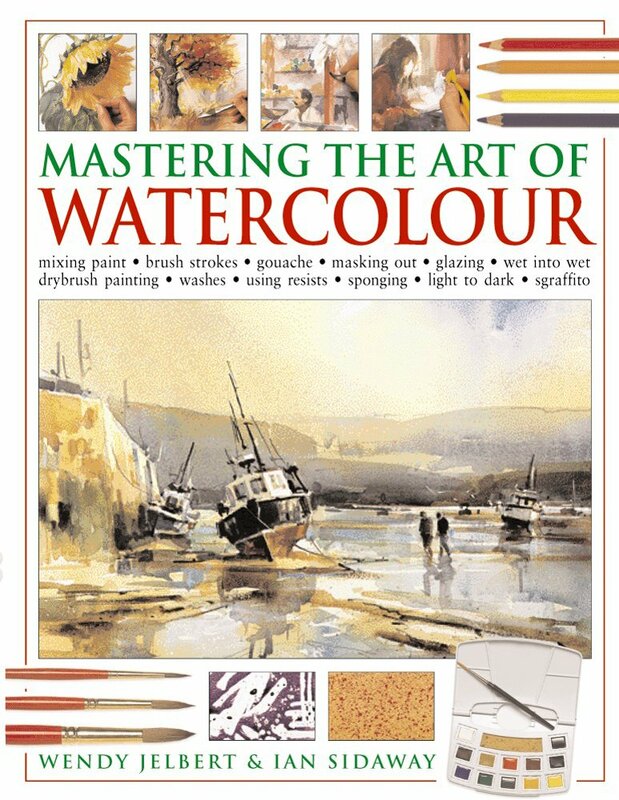 The second half features 25 step-by-step projects that helps you paint a variety of subjects such as skies, water, landscapes, still life, buildings and people. The text is informative and instructions are clear so it's easy for any beginners to follow along. You'll learn to create basic washes, effects like spattering, sponging and sgraffito and colour mixing. All the colours used are mentioned clearly. Wendy Jelbert and Ian Sidaway are both very experienced artist. By the way, I'm a fan of Ian Sidaway's art and have been following his work for a long time. The downside of this book is, since the book is small, the fonts are smaller compared to other larger instructional books. If you prefer a larger book, you can check out Painting in Watercolor: The Indispensable Guide by David Webb which is equally as good, but more expensive. Overall, I highly recommend this book because it's so affordable and it's packed with helpful content and beautiful art.